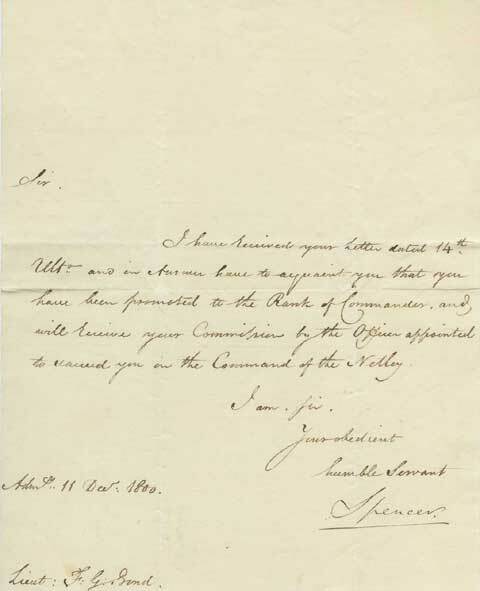 Letter from Lord Spencer to Francis Godolphin Bond, stating that he has been promoted to Commander. December 11, 1800. I have received your letter dated 14th Oct. and in answer have to acquaint you that you have been promoted to the Rank of Commander, and will receive your Commission by the Officer appointed to succeed you in the Command of the Netley.